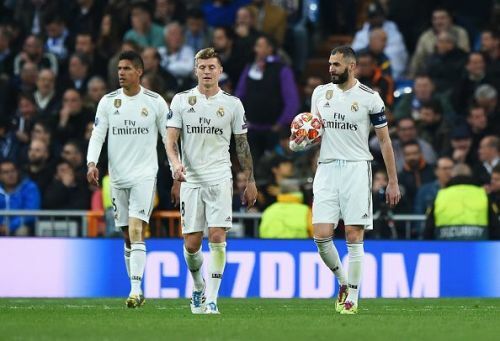 It's official, Real Madrid have been knocked out of the 2018/2019 Champions League season at the first knockout stage. The Spanish giants have almost turned the continental showpiece into their personal playground, having won each of the last three editions consecutively and it was expected that the trend would continue this season, especially seeing as it was their only realistic hope of a trophy for the campaign. 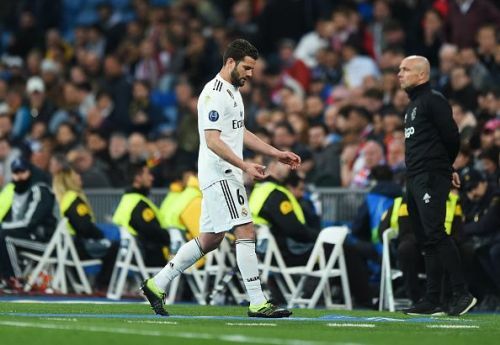 Having struggled in the league earlier in the season which led to the termination of Julen Lopetegui's contract, Real had a semi-revival upon the appointment of Santiago Solari that made many believe that the former Spain manager was the problem. However, poor results in recent weeks show that Real's issues run much deeper than the manager on the bench and with the season coming to an end, Los Blancos are in real danger of finishing the campaign empty-handed. They have seen their hopes for trophies on three fronts ended in six days, all at the Bernabeu. First, there was last week's Copa del Rey elimination at the hands of Barcelona, followed by a 1-0 loss in La Liga (which effectively killed their league dreams), and now, the embarrassing exit from the UCL as they fell to Dutch side Ajax in a 4-1 defeat. Real Madrid came into the match with a 2-1 lead attained in Netherlands and would have been confident of scaling through. However, goals from Hakim Ziyech, David Neres, Dusan Tadic and Lasse Schone condemned the Spanish giants to consecutive home defeats. (This was also their heaviest home loss in Europe in history). The difference in class between both sides made this result a shock, as Ajax have been nowhere near the level of their hosts in the Champions League recently. The embarrassing result means that Real Madrid will make it to the semi-final for the first time in eight seasons. In this piece, we shall be taking a look at three reasons why Real Madrid lost the fixture at the Bernabeu. Real Madrid came into the fixture with Ajax holding a 2-1 lead and this was seen as a prime position to be in, with captain Sergio Ramos considering qualification such a foregone conclusion that he deliberately decided to receive a yellow card in the first leg to serve out a suspension and be fresh for Real Madrid's 'expected' quarter-final clash. However, things soon turned sour for Los Blancos, with the home side falling behind just seven minutes in, as Dusan Tadic played in Hakim Ziyech to open the scoring. Real's defenders were all over the place for the first goal, failing to track Ziyech's run into the box. Dusan Tadic was all over the Real backline, creating chances at will, while also getting the better of the usually reliable Casemiro time and again, leaving him flat on his behind on a number of occasions while also grabbing the second of the night. Sergio Ramos's replacement on the night, Nacho failed to cover himself in glory, constantly caught out by the youthful Ajax forwards and it came as no surprise when he received his marching orders late on, while Raphael Varane and Casemiro did little to prove their mettle as world-class players.